Hey everyone Des from Life’s Ambrosia here! 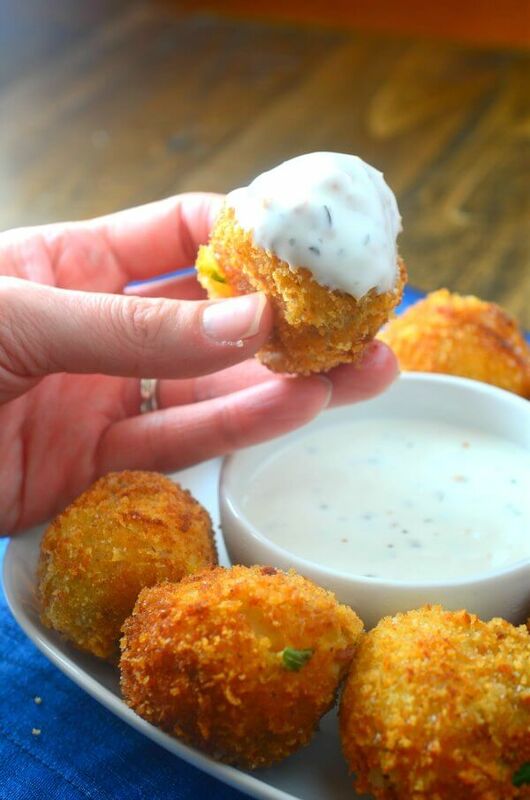 Today I have brought these Cheesy Loaded Potato Bombs with me. These little devils are crispy on the outside and soft and cheesy on the inside. 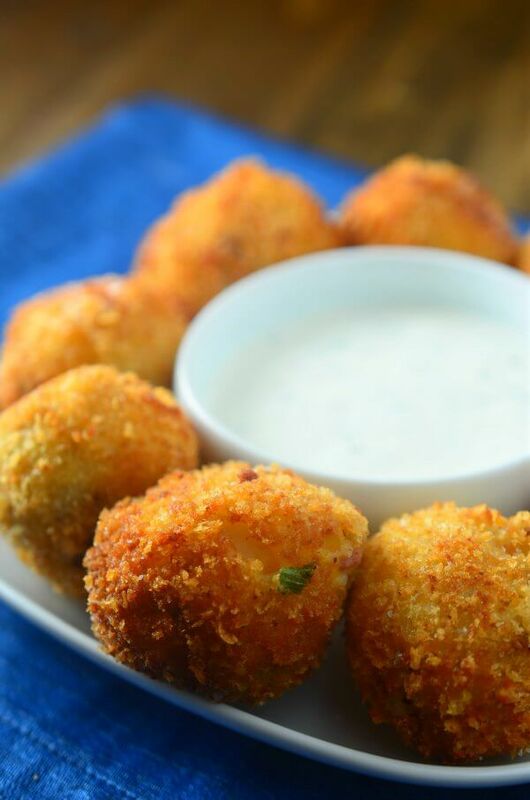 They are the perfect way to use up some of your Thanksgiving leftovers and a great game day snack. Mashed potatoes are kind of my thing. They have been my thing since I was a little girl. 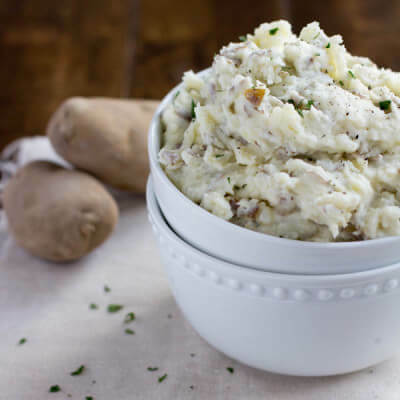 My best friend and I, instead of snacking on whatever snacks we could find in the pantry, would make ourselves mashed potatoes and gravy as our snack. Crazy, I know. But both of us, to this day still love the things. They are my favorite part of Thanksgiving dinner too so I am always sure to make way more than we need. 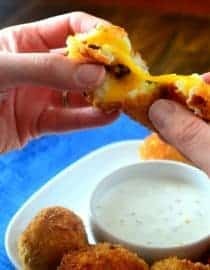 While I could just eat them smothered in gravy, these Cheesy Loaded Potato Bombs are another way to use up the leftovers. 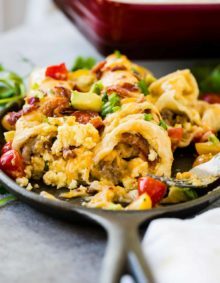 For this recipe, I mixed left over mashed potatoes with some crispy bacon and chopped green onions. Then, I rolled a heaping tablespoon of the mixture around a cube of cheddar cheese, dredged the whole thing in bread crumbs and fried until golden. Sounds pretty amazing doesn’t it? I can’t lie they kind of are. And then we dip them in ranch. Of course. You could certainly change this recipe up depending on your tastes. Like pepper jack cheese instead? Go for it. Or maybe some chopped pepperoni and a center of mozzarella for a Pizza Potato Bomb. Anyway you do it, these are sure to be a crowd pleaser. 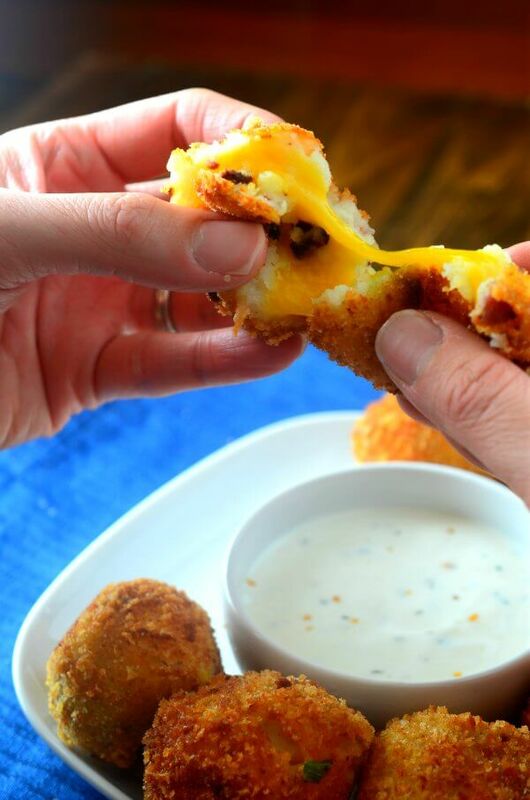 And, if you need any further proof of how deliciously cheesy these Cheesy Loaded Potato Bombs are, I am just going to go a head and leave this right here. 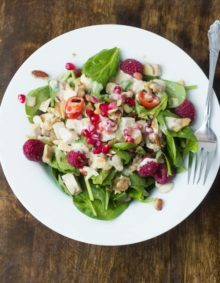 But because of their high starch content, they are nutritionally classified as a starch. What Kind of Potatoes Are Best for Mashing? Higher starch potatoes (like Russets or Yukon golds) make the fluffiest, smoothest, and most flavor-packed mashed potatoes. 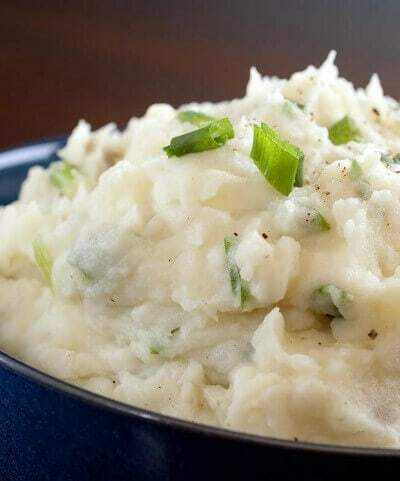 In a bowl combine together bacon, mashed potatoes and green onions. Mix well. Make an assembly line. Whisk together milk and egg in one bowl. In another bowl combine bread crumbs, garlic and salt. 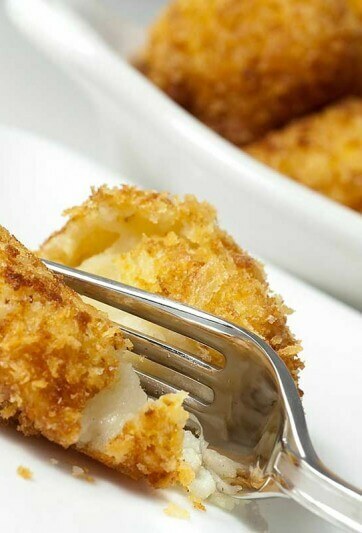 Make the potato balls: scoop up a heaping tablespoon of the potato mixture, place a piece of cheddar in the center and press the mashed potatoes around it to enclose the cheese in the potatoes. Dip balls potatoes in egg/milk mixture, then into bread crumbs, then back into egg/milk and then back into bread crumbs to double coat. Repeat with remaining ingredients until 20 potato bombs are made. Heat 1/2 inch of oil in a pot or skillet over medium high heat. Once it reaches 350 degrees, carefully add potato bombs and fry until golden, about 2 minutes, turning occasionally. 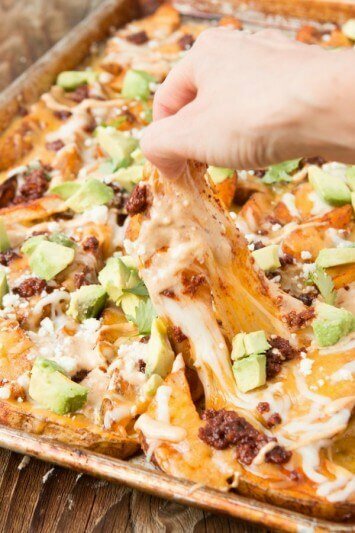 You may need to do this in batches so you don’t overcrowd the pan. Use a slotted spoon to transfer them to a paper towel lined plate. 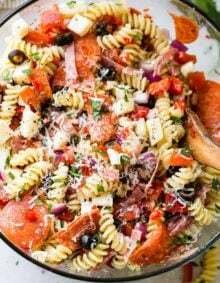 Yum,I really am going to make this,thank u for this.